On a recent holiday in France, a German chap asked me why I fished. At the time I was fishing the river Lot below a limestone cliff, crested with oak trees and alive with swifts. The sun was sinking and the river was dark. It was a stunning location. All I said in reply was that it brought me to places like this. He nodded, and smiled. I think he got it. My parents gave me my first fishing rod on my 6th birthday. A 6 foot Winfield rod from Woolworths. I was lucky to grow up in the village of Maxey, just north of Peterborough. The village is surrounded by the river Welland and its flood relief channel the Maxey Cut, as well as a host of gravel pits. My Dad would take me fishing on the “Cut” and on occasions to the River Nene. We fished very badly, armed with little floats, ¼ pint of maggots and no skill whatsoever. Every fish was a prize. 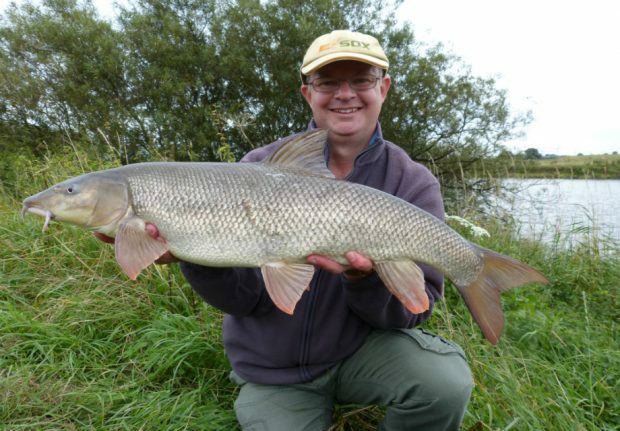 We’d catch gudgeon, dace, bleak and little perch, but the most prized fish were the roach. I must have pestered my Dad to the point of utter irritation to go fishing. I remember one day spent stuck at my Grandparents when I’d been promised a fishing trip. I’m sure there were good reasons to be there, but the day faded away with no fishing trip. I was inconsolable. My fishing was seriously curtailed when Dad started working abroad. We’d not see him for months on end and he never had time for fishing. I’d go on my own, or with friends, but the number of days when we actually caught anything were few and far between. But I never stopped trying. I think, looking back now, that going fishing was, and perhaps still is, more important to me than catching. Certainly, a blank tends to leave me more fired up to go again than the rare successful days. Fishing was also an adventure as a child. I loved hunting out new places to fish, fighting through the most inaccessible and overgrown banksides, in the hope of finding some angling utopia. I never did, of course, but there was always hope. Gradually, I actually started to catch a few fish. Growing up in Maxey gave me the chance to fish for, and even catch, bigger species of fish. Chub on the river and tench on the gravel pits. Back in the mid-80s, my friend Bruce (still my main fishing companion) and I discovered that you could actually catch carp from the local pits. They became a bit of an obsession for a while. However, an even worse obsession were the pike! This led Bruce and I to spend most of the winter driving around the Fens on cold, bleak mornings in search of these stunning fish. It still grates with him that my first “double” weighed in excess of 24lbs. It was just luck. Of course, it was being an angler that led me to work in Fisheries. I have never regretted that decision. After 24 years of working in fisheries the knowledge that I can make a difference to the places I love to spend time and the quality of the fish that refuse to take my bait, I’m still as keen as ever to keep doing so. I still live in the Fens, but pike fishing is a rare event. Time is limited. These days it’s all about shorter sessions. I love fishing for the tench on the Fen drains, using traditional lift float methods. I still fish the Nene, especially in the winter for its plentiful roach, keeping mobile and fishing with tiny feeders and liquidised bread. If I’m obsessed with anything these days, it’s barbel. I just love the power and beauty of these fish. Each one makes me feel privileged to catch and hold it. Most of all, fishing remains for me an excuse to sit and do not very much in some wonderful places. And if I catch, even better. Local rivers are almost remote of fish. Met several very experienced anglers yesterday and consensus was the worst since they began fishing. Many issues but cattle slurry seems to have a very important part to play. I think that all serious anglers understand the joy of discovering these magical places and the thrill of catching a good fish. Lakes , sad to see them so bad now back home in Hampshire looking forward to geting out on the rivers . Some one needs to put Linconshire back on the fishing map .you can see y no one goes there now. The travel, the places you arrive at, fishing with your dad. Lots to resonate here. Encouraging to know that sort of passion exists in the fisheries team. Really smashing story took me back to my childhood. Thank you for sharing it nigel and keep up the good work fishing needs the environment agency . James lee.21 September 2017. I enjoyed the story. I am passionate about fishing. I often go for fishing. I have a blog where you can find best fishing equipment. Thanks for sharing. I enjoyed the story. I am passionate about fishing. I often go for fishing. I have a blog where you can find best fishing equipment. Hi Nigel, The fish in the picture is terrific. Thanks for sharing.